InstantTutor is the world's first online tutoring easy persuasive speech topics for college students company that caters to youth in care settings. 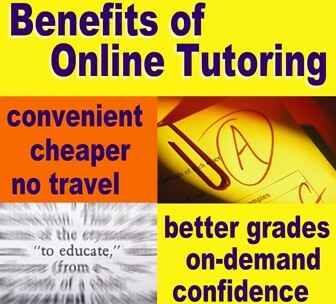 However, any student with a tutoring need can take advantage of our expertise. With more than 2,000 compassionate and skilled tutors, we can help youth close learning gaps fast. Educational Tutorial Services, our top10pillows.com parent company, has provided high-quality in-home tutoring to youth in care since 1999. 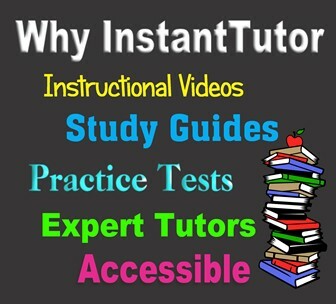 At InstantTutor, you get academic assistance when you need it! Our expert tutors are available 24/7 to help you with English, math, science, and social studies homework. If you require more intensive help, your tutor can develop a comprehensive review of a subject to bring you up to speed. We are committed to ensuring you receive excellent tutoring so you can be a successful student! The leadership team behind InstantTutor includes education and foster care advocates, financial experts, and business leaders. Their vision is to offer a high quality online learning environment that authentically helps students improve academic outcomes. We partner with various organizations to reach youth that need intensive academic support in order to progress from one grade to another and to graduate on time. Our partners are dedicated to helping disadvantaged youth bridge learning gaps. 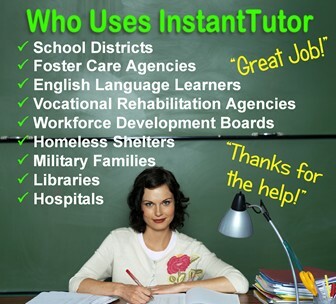 InstantTutor partners include foster care agencies, school districts, homeless shelters and other McKinney-Vento funded agencies, school districts, libraries, and hospitals. Private individuals and families who need homework help, AP coursework assistance, and test prep experts can use InstantTutor. Lisa Russell is CEO & Founder of InstantTutor, a subsidiary of Educational Tutorial Services. Lisa is an MBA who started Educational Tutorial Services in 1996 when she realized there were no tutoring organizations dedicated to foster youth. She has provided in-home tutoring services to more than 20,000 foster youth in the United States since then. Through InstantTutor, Lisa expects to reach more youth in care around the world. Her long-standing administrative team provides necessary support in areas such as business management, marketing, and technology upgrades. Because we work with school districts, foster care agencies, and other contractual partners, our Educational Coordinators serve as liaison between tutors and student's school and caregivers. They administer and review pre- and post-tests. And, they are responsible for supervising tutors and monitoring student progress. Educational Coordinators provide the oversight necessary to maintain program quality and integrity. Parents can speak directly to an Educational Coordinator if a particular type of tutor is needed to help their child effectively address learning gaps. Our tutors are the best in the industry. We take great pains to hire highly qualified tutors with exceptional credentials and unlimited compassion. Our tutors are experts in their subject area and have years of experience teaching students. They continuously seek innovative approaches to tutoring students. As academic experts, our tutors are prepared to help any student at any learning level meet academic goals. They are passionate about teaching and compassionate towards all students regardless of learning ability. If your child is struggling to achieve, our tutors are ready to help. If you need technical help with using InstantTutor, we have Tech Support ready to answer questions and provide guidance. Our tech team continues to improve the functionality of the site in order to provide a superior user experience. They continuously work to add new options and features that will improve tutoring outcomes. Our Tech Director is highly experienced and has worked in the IT support industry for nearly 15 years. He reviews current trends and incorporates best practices to improve online classroom experience for students and tutors alike. Have payment questions? Need more information on tutoring options? Our Customer Support team is ready to help students, parents, and educators get the answers needed to move forward. 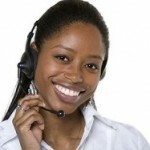 Simply contact us during the hours posted on our site and we will provide outstanding customer service. Behind the scenes, our Customer Support team also provides assistance to tutors by making sure they have completed all necessary paperwork to work at InstantTutor. Access to orientation videos and training on tutoring students using our online classroom is available to all tutors. InstantTutor has partnered with several agencies to improve service outcomes. Benchmark testing is available through Achieve for grades 1-12 in the following subjects: English, math, science, and social studies. These assessments are used to identify learning gaps so tutors can target instruction. Educational Tutorial Services is a major partner. In addition to online tutoring through InstantTutor, you also can receive private tutoring through Educational Tutorial Services. With nearly 20 years of experience in the tutoring industry, Educational Tutorial Services is a leader in helping disadvantaged youth close learning gaps fast.